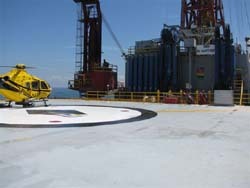 MARS Offshore Helicopter Refueling Systems are designed to handle the extreme environments of offshore platforms from the Gulf of Mexico to the Arabian Gulf. 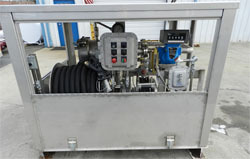 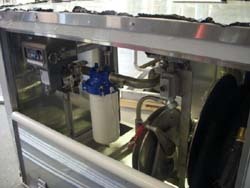 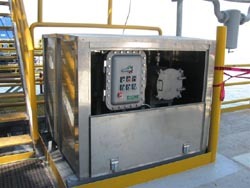 Each system typically consists of a PFT (Pump & Filter) Module which is designed to transfer fuel from storage tanks to an RDS (Remote Dispenser) Module located on the helideck. 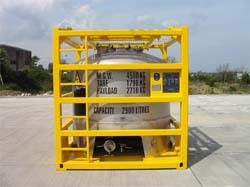 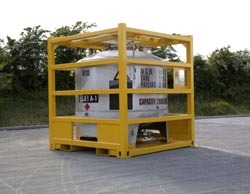 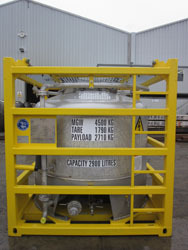 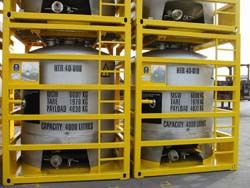 Standard provisions for recirculation of stored fuel are included. 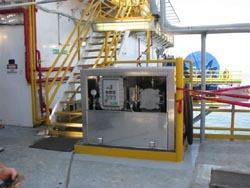 Each MARS Offshore Module and its components are of all 316 stainless steel construction including pump, filter, meter, hose reel, static reel, valves, strainer, etc. 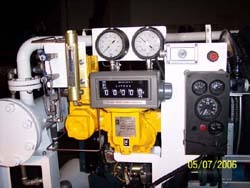 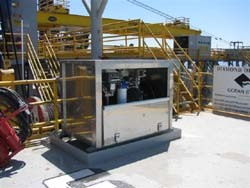 All electrical control panels & devices are explosion-proof with stainless steel conduit throughout. 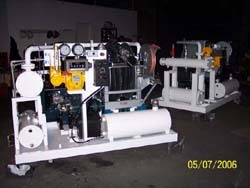 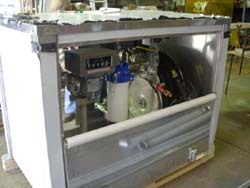 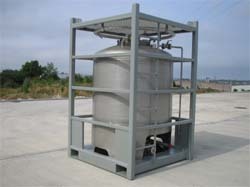 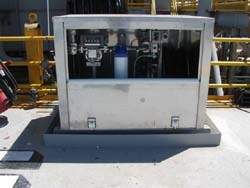 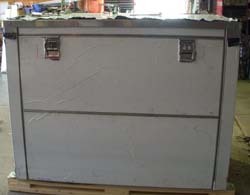 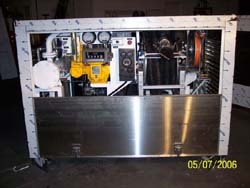 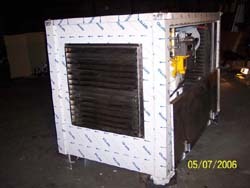 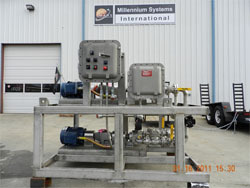 All piping, skid bases, pipe supports and cabinets are also 316 stainless steel construction. 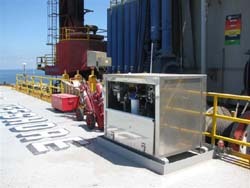 Each MARS Offshore 316SS Cabinet Enclosure features removable panels, half-panel drop doors, seal-welded containment pans & half-panel drop doors. 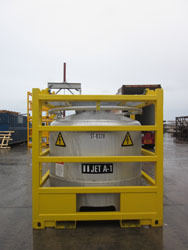 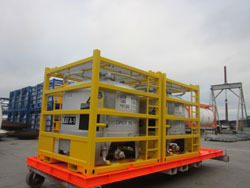 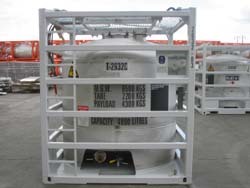 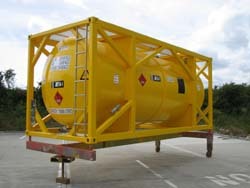 MARS Offshore Helifuel Tanks available with or without optional deluge piping. 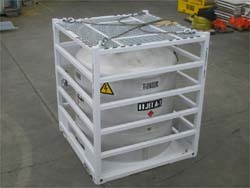 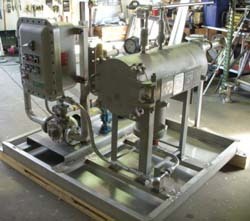 Tank laydown skids custom fabricated to meet customer specifications.